Roy H. Siegel is a Doctor of Chiropractic and nutritional consultant. He is a graduate of Cornell University, B.S. in Biological Sciences and a doctorate from New York Chiropractic College. He has a Diplomate in Chiropractic Orthopedics. He has lectured nationwide on low back pain and sciatica, prevention and treatment of dance and running injuries as well as nutrition (fats and oils, balancing hormones, blood sugar metabolism, detoxification, intestinal health, remedies for injury, spasm, pain). Dr. Siegel's lifelong dream was to become a doctor of veterinary medicine. He was accepted as an undergraduate to Cornell University with a full scholarship and majored in biological science. Dr. Roy had spent his childhood in a household with cats, dogs, guinea pigs and chameleons but while working on dairy farms in upstate New York during the summer breaks, he developed severe allergies to animals. His dream of becoming a veterinarian went up in smoke. After Dr. Roy graduated from Cornell with a Bachelor of Science he came to New York City to pursue a music career. Music has always been a passion. Dr. Roy has been playing drums and percussion since he was 7 years old. Dr. Roy loves working with people to enhance their health. Before he received his license to practice, Dr. Roy was hired to do exams at a chiropractic office in Manhattan. He was working on a clinical study relating lower back problems to weaknesses in the muscles of the legs and thighs and wanted to do this study on professional athletes. He met a theater director who asked if he wanted to use dancers for the study. Since it is said that dance is only secondary to football in the number of injuries sustained, Dr. Roy jumped at the chance to work with dancers. After meeting with the dancers, testing and collecting data at A Chorus Line, he was asked to do the same at most of the other Broadway shows. Dr. Roy has treated over 10,000 professional dancers and feels like a Ferrari mechanic, working on highly tuned dancers/athletes. His experiences working with these patients enhances his care for everyone he sees. Dr. Siegel has had articles published in Modern Drummer, Runners World, and Dance Magazine. He was consulted in the production of the Time-Life Series on health as well as an article on pain in Redbook magazine. He was featured in a NY Times article on running with lower back pain and an article on posture in Oprah Winfrey’s magazine O. Dr. Siegel has appeared on WABC-TV and WCBS-TV discussing his role in the treatment of dance and running injuries. He appeared on Channel 5 News to discuss the inadequacies in health club class instruction and flooring. He was taped for 'Sixty Minutes' on CBS-TV discussing wellness care with Gregory Hines. Dr. Roy has attended over 2,000 hours of nutrition courses and seminars. He loves creating a diet and supplement schedule for patients that will help them alleviate and correct problems as well as slow the aging process. He practices what he preaches and loves it. He is still an active musician, playing guitar and piano, performing as singer/songwriter Roy Howard. Besides treating dancers, his musical background enhances his ability to help musicians play with strength, dexterity in a pain free state. Dr. Roy loves to provide preventative maintenance and correction of long term skeletal distortions on everyone who he sees for chiropractic care. His goal is to keep all of his patients pain and drug free. 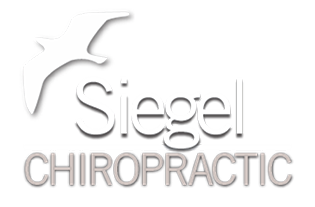 Shari Siegel began as a Chiropractic Assistant in 1981 at the Isdale Chiropractic Clinic, a multi-doctor chiropractic clinic in Killeen, Texas. She knew instantly she had found her professional calling and passion when she saw firsthand how chiropractic care impacts patients. Shari managed the office for three Chiropractors, Dr. Sid, the father, and two of his sons, Dr. Scott and Dr. Shawn. Shari was mentored by Jeanne Isdale, Dr. Sid's wife. While attending a chiropractic conference in Dallas, Shari met Dr. Roy. After relocating to New York City in 1993, Shari has had the privilege of serving in her husband's office. She wears many office hats and performs in every capacity (including occasional plumbing and handyman duties). Shari has attended over 3,000 class hours in chiropractic and nutrition at conferences and lectures around the country. Shari's interests outside the office are vegan cooking, gardening and reading.